Andrew’s detail-orientated mindset ensures no stone is left unturned. I make sure my buyers know all their options and my sellers know their competition. 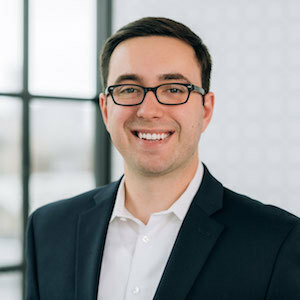 Before real estate, Andrew was a Process Engineer and brings forth his expertise in data analytics making him your go-to real estate advisor. Born and raised in Chicago’s western suburbs and as a second-generation REALTOR©, Andrew provides critical local area knowledge to his clients. I focus on communicating with my clients and fully preparing them for buying or selling a home. Andrew specializes in Chicago’s western and northwestern suburbs and particularly enjoys helping first-time home buyers and sellers. When he’s not working, Andrew enjoys baking, going to car shows, traveling, and spending time with his friends and family.